Do not repost/edit/use my mod as a base without my permission! 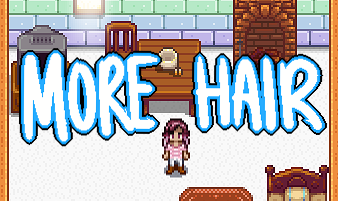 So this mod just adds in new hairstyles and lightens the base game hairs (meaning that they will be more vibrant). Let me know if there are any bugs, and if you guys like this mod! You might want to make a backup file of 'Farmer' just in case! But it should work. 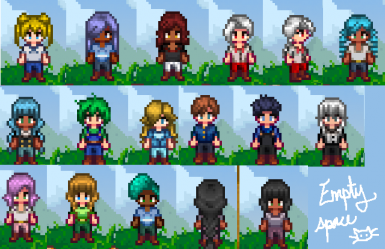 3/16/16: Added two new haircuts, lightened ALL of overall hairs so colors should be a little more vibrant!